VICE-PRESIDENT Kembo Mohadi yesterday jokingly claimed he was on track to take over from President Emmerson Mnangagwa, citing his meteoric rise in Zanu PF politics. 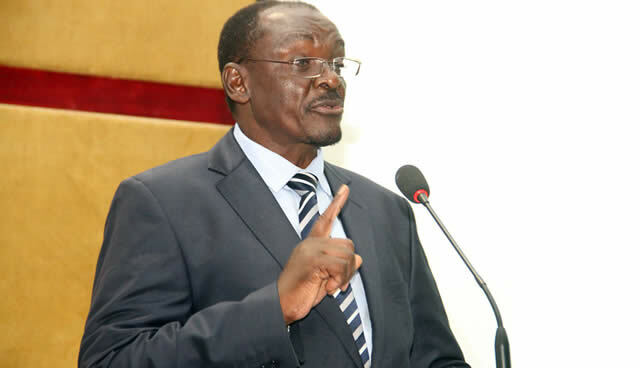 Mohadi made the remarks as he introduced Mnangagwa during a thanks-giving ceremony held for the President in Bulawayo. “I have been Minister of State Security, and later Minister of Defence. I think I am following in your footsteps. If that is the criteria, then I am on track,” Mohadi jokingly said. The Bulawayo event was organised by the Faith for the Nation Campaign to thank God for the peaceful transition following former President Robert Mugabe’s ouster. Addressing the gathering, Mnangagwa hailed Zimbabweans for praying and giving him moral support from the time he was poisoned at a Zanu PF youth interface rally in Gwanda to when he was expelled from both government and party until his return from exile in South Africa. “Today, as we reflect and appreciate where we come from, we can say God delivers those who trust in Him. I want to thank you all the people of Zimbabwe you prayed for me after what happened in Gwanda when there was some bit of poisoning to which I spent some days without knowing what was happening. Your prayers were heard by God,” he said. The thanks-giving ceremony was also attended by Chief’s Council president Fortune Charumbira, captains of industry and congregants from various Christian denominations. Mnangagwa urged Zimbabweans to forgive one another, particularly as the country heads towards the 2018 harmonised elections. “I encourage the Church to preach the gospel of love, peace and forgiveness, forgiveness and forgiveness. All of us, let us love one another; let us preach peace, peace, unity and unity and forgiveness,” he said, adding his administration will also respect the nation’s diverse religious values,” he said. Mnangagwa told Zimbabweans based in South Africa during a recent visit that he walked about 30km into Mozambique running away from Mugabe’s “hunting dogs” who were after his life. He said he was later picked up by South African-based Zimbabwean businessman, Justice Maphosa, who hosted him for 16 days in the neighbouring country.